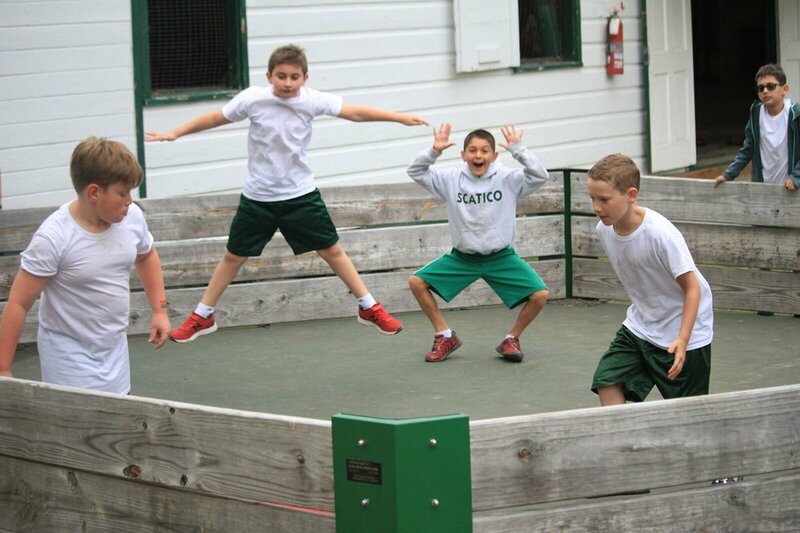 The thing about camp is… there is no typical day! From when reveille blows to when the oldest campers fall asleep, days at camp are always an adventure, jam-packed with new inventions and time-honored traditions, special events and athletic competitions, structured activities and spontaneous fun. 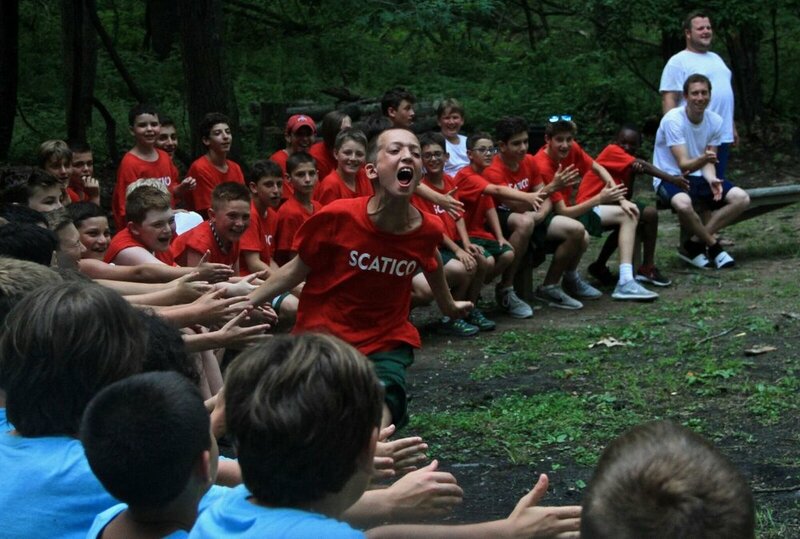 Camp Scatico’s magic is infused in every scheduled game and project, but also in all the in-between time: the cheers in the dining hall, walks along the lake to activity, flashlight time before bed. It’s 8AM and reveille blows! Camp’s uniform of a white t-shirt and green shorts (no Scatico logo needed) means getting ready in the morning is that much easier, plus it supports Scatico’s mission of inclusivity and minimizing social pressures. The entire boys camp gathers at the flagpole for lineup each morning. It’s an opportunity to make announcements (birthdays, tournament teams travelling to another camp, special events to plan for, MLB box scores) and to come together as a community. At Scatico we strive for a balance between structure and choice, skills development and loads of fun. The daily schedule aims to incorporate all four core program areas: Landsports, Watersports, Creative & Performing Arts and Outdoor Adventure. Aside from electives and a few specialty areas, divisions participate in activities as a unit. All of boys camp eats together, with each division and their counselors at their own tables. Meals are served family-style, with main courses and sides placed at each table and an extensive salad bar and “seconds table” to supplement every meal. Camp is peanut free. There is a gluten-free option at each meal, and our kitchen can work to accommodate other dietary restrictions. Scatico is lucky to have had our two incredible chefs, Jimmy and Ricardo— friends and frequent co-workers who run catering companies in the off-season—for 13 and 7 respective summers and counting. Before lunch and after dinner, campers have free time. Boys campus quickly becomes abuzz with activity: games of gaga and pickup basketball, catch and frisbee, chess matches and card games. 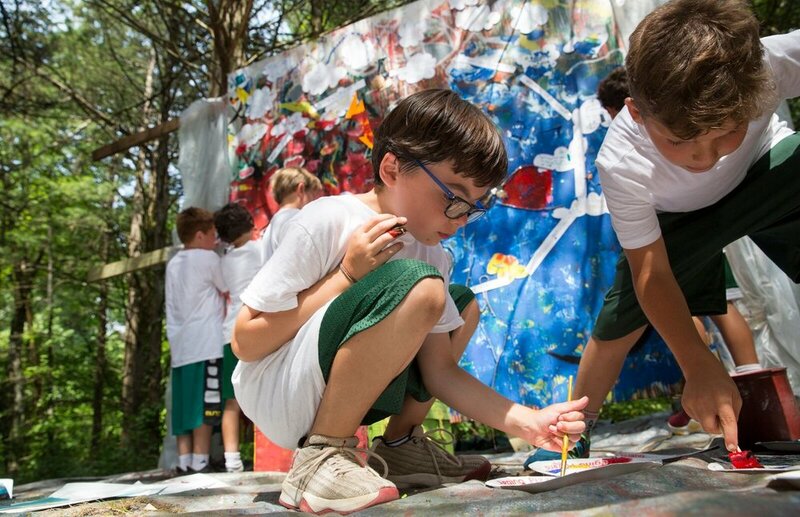 Campers of all ages congregate, and the organic spirit of camp takes over. The time is also an opportunity for teams to practice before an upcoming tournament, for campers to have some extra time to work on a project, or to prep for a special event. Activities are catered to camper ages and skill levels. 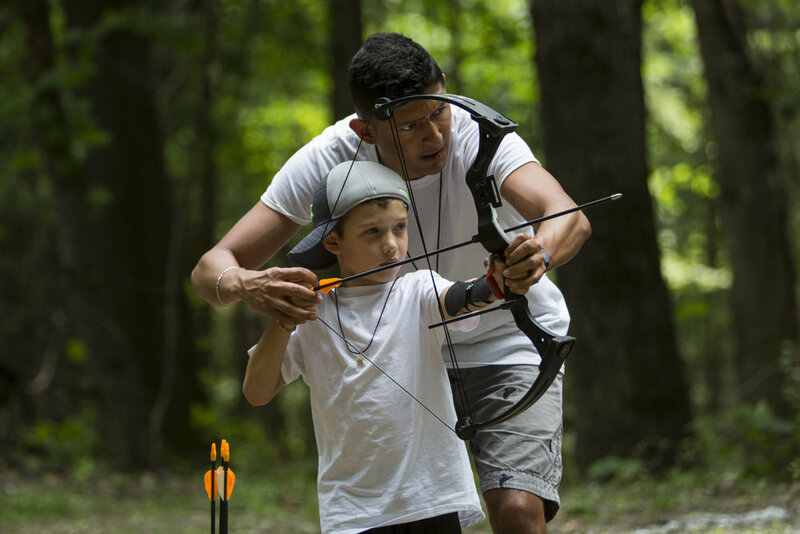 Older campers choose up to half of their activities, allowing them to gain more one-on-one coaching from specialized staff in the activities that most speak to them. Younger campers follow a more structured program, ensuring they participate in all activities and develop new skills. The sun is coming down behind the trees, and the air grows a little cooler. Daylight might be fading, but the camp action is far from over. 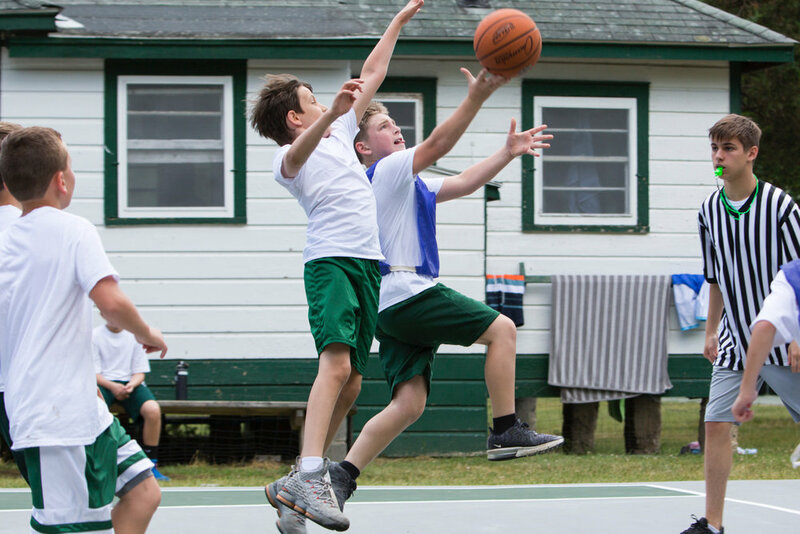 Evening activities are often a time for sports leagues or when all of boys side comes together for a specialty event or joins with the girls camp for a co-ed activity. Following evening activity, boys of all divisions head to back campus to mingle and relax. A new tradition has emerged (one which Director David Fleischer wrote about for Camping Magazine): listening to baseball games on a radio on the porch of the head counselor’s bunk, providing an opportunity for boys of all ages to share, enjoy the night sky, and unwind before bed. By 9:00PM taps blows. 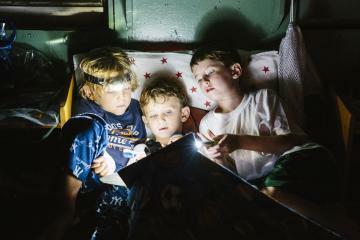 Older campers may have a specialty nighttime event, while younger campers get ready for bed with their counselors. After some “flashlight” time it’s lights out at Scatico… until the next day’s adventure.